Yesterday we went to the Tunis airport to rescue a package from the catacombs of customs. 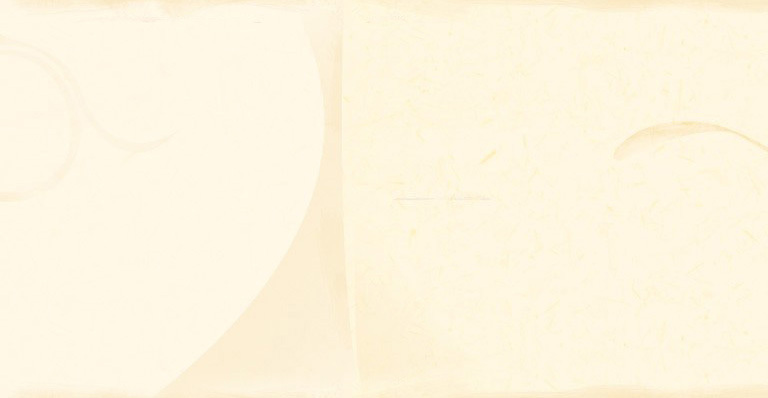 We eventually lost count of how many times we went from office to office, collecting and relinquishing slips of white, pink, and yellow paper. When the long-awaited moment for recovering the package finally arrived, we were in suspense about how much duty they would charge us. With each trip to a new office, we pictured the duty going up, until by the end we were fully expecting to pay hundreds of dollars for our package. So when the customs official bestowed a final stamp and signature on our pile of papers and announced, "nine dinar," (about US$7), Tony almost laughed in relief. "Deal!" he answered enthusiastically, causing chuckles from the whole office, both because the joke was actually funny, and because they could understand it. I don't know how nine dinar could possibly even cover the administrative costs of our epic journey through Tunisian postal bureaucracy, but we're not complaining. Our package ransomed, we were free to continue on to the fun part of our visit to Tunis. For the past two months or so, we have been studying the Roman mosaics of Tunisia. Our gigantic coffee-table book contains examples from all over the country spanning centuries of mosaic artistry. At tea-time we open it to a new mosaic every day and talk about what we notice and like about it. We've covered mosaic subject matter ranging from hunting and fishing scenes to still-lifes to Bacchanalian revels. 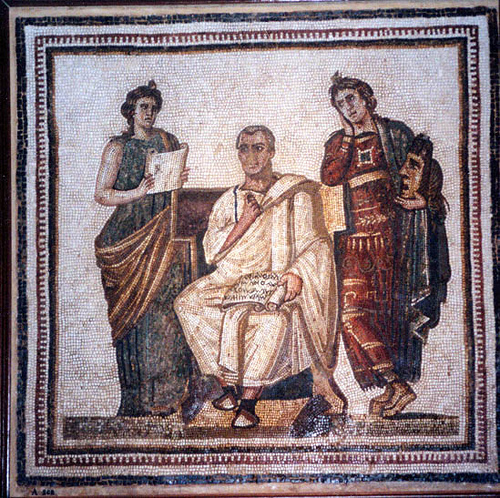 A few days ago I was thrilled to find a mosaic with a seated Virgil, attended by the muses of history and tragedy. We're fascinated by the Aeneid at our house, even though our Lonely Planet dismisses it as "Roman propaganda." And we've become quite enamored of Tunisian mosaic art. 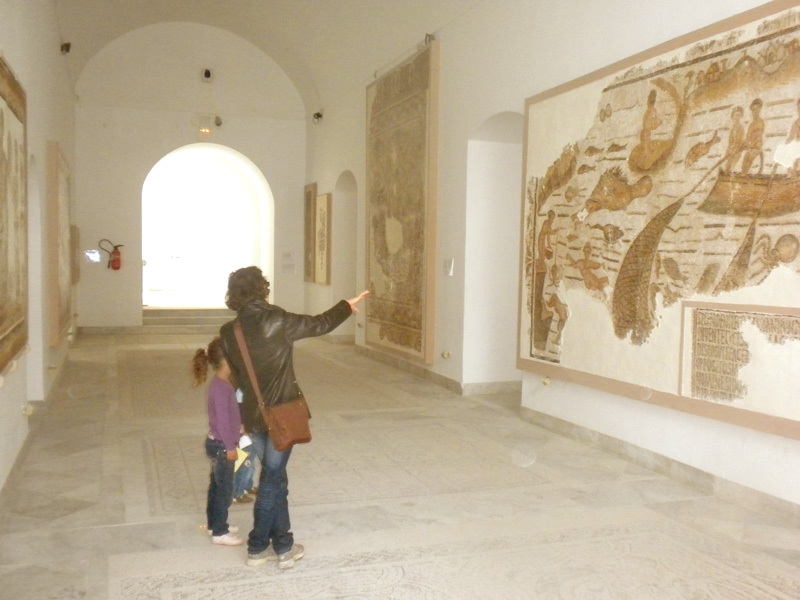 So we've been looking forward to a visit to the Bardo Museum almost ever since we arrived in Tunisia. 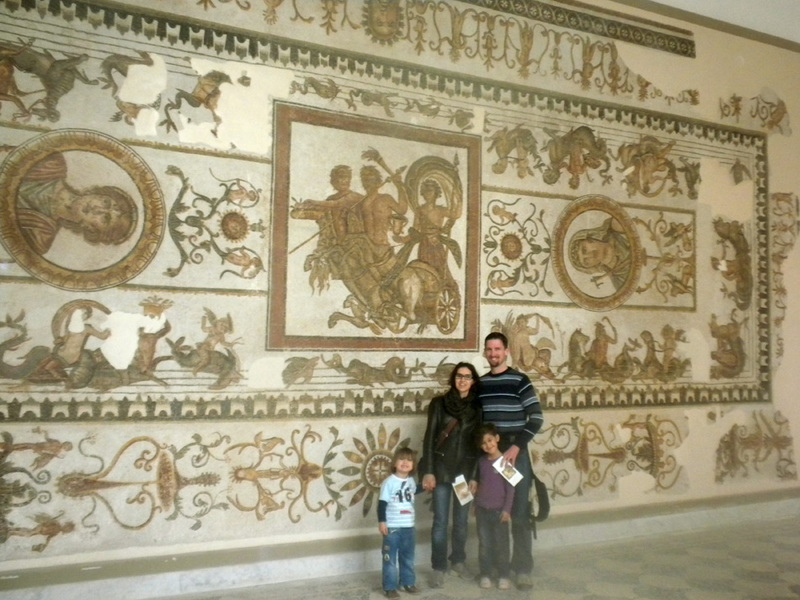 And the mosaics were ten times better in real life than in our book. 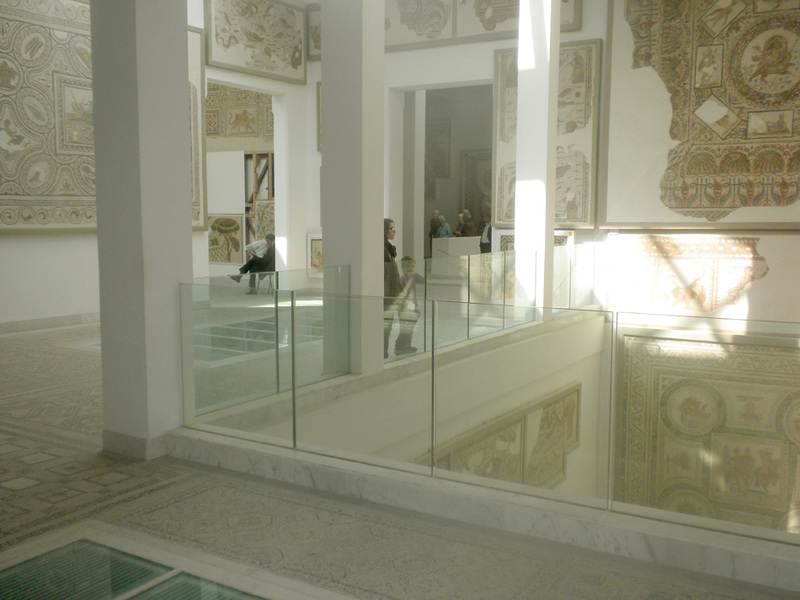 Upstairs we found several impressive marble statues, most of Roman emperors. And sure enough, the very first and largest (for some reason he was twice as large as everyone else) was Marcus Aurelius, whose story just happened to have been the children's bedtime story the night before. 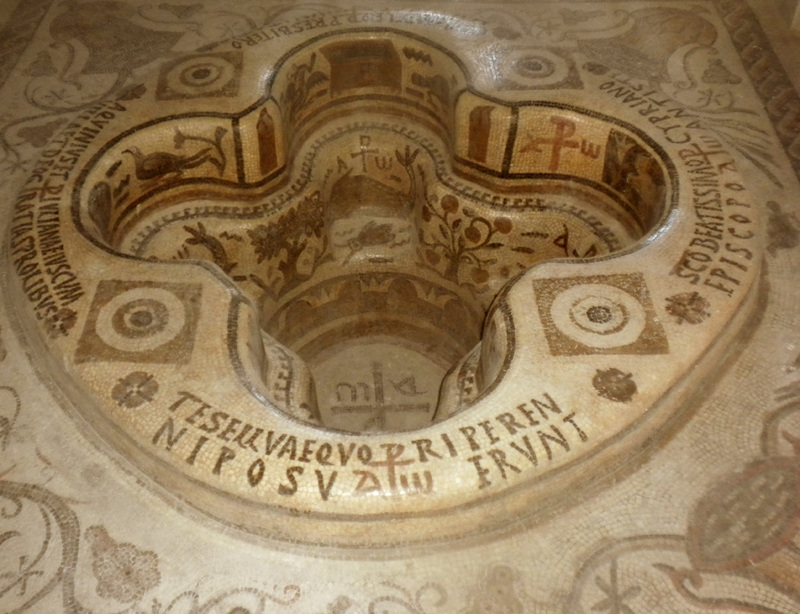 And then it was on to the glorious pagan Roman mosaics. The range of subject matter in the mosaics was diverting, and Axa and Dominique kept running in to the next room, dying to know what they would find. 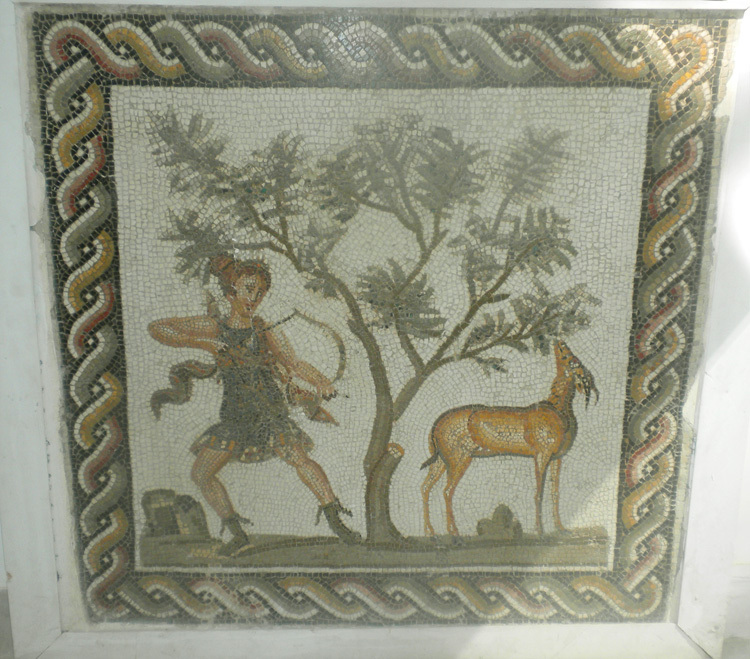 Tony's favorite mosaic was a small one of Artemis shooting a bewitching little deer. I think mine was the famous Triumph of Neptune, in which a bronzed sea-king driving his iconic seahorse-pulled chariot is flanked by two attendants with the oddest facial expressions I've seen in a mosaic. 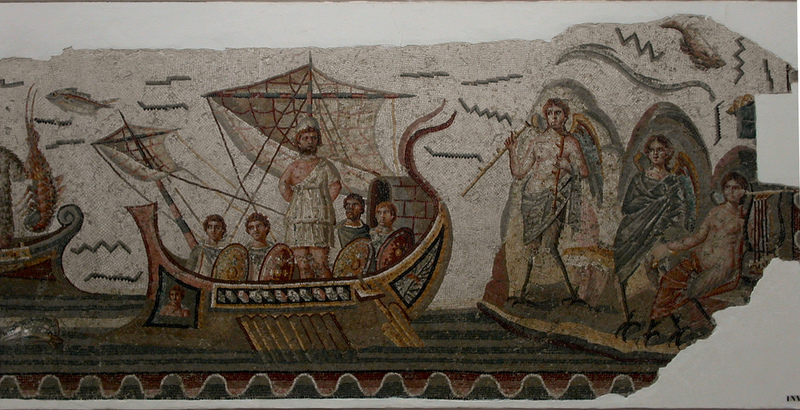 We all loved a kind of funky retro mosaic that Axa correctly identified as portraying Theseus slaying the Minotaur. Most of the mosaic was composed of the black and white labyrinth, with a section off to the side devoted to the combat. The border was a cleverly designed depiction of the Minoan palace above the labyrinth. My grasp on the delicate nuances of mosaic subject matter turned out to be somewhat less refined than Axa's. 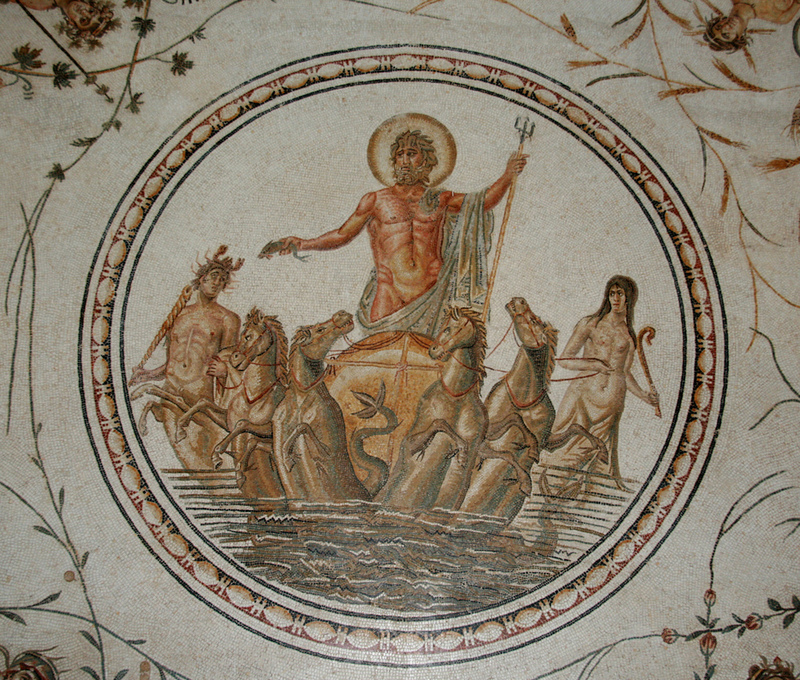 I was impressed by a huge mosaic of Paul about to be shipwrecked, surrounded by Roman soldiers. What mystified me was what the three furies were doing off to the side. All in all, if you are ever in the neighborhood, I heartily recommend a visit to the Bardo. 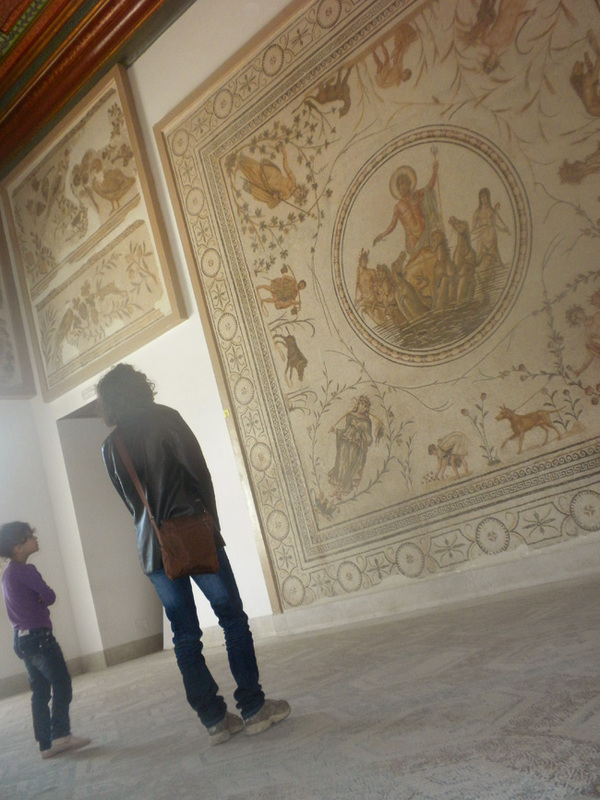 In fact, I'm already planning my next trip, after the renovations are finished next year and Virgil is back on display.